We all tend to forget how special some things are just because they are easily accessible. One example are our Dentists. We forget the important role that dentists play because they are easily accessible. However, there are some fascinating facts about dentists as well as our teeth. Below are some facts about dentists and our teeth that are overlooked. Dental Implants: Dental implants have been for a long time. There have been a lot of improvement since they were originally used in 600 AD. The ancient form of dental implants were pieces of shell shaped like human teeth that were hammered into the jaws of Mayan women. Things are much better now thankfully. Enamel: The enamel in our teeth is the hardest part of the human body. Enamel is even harder than steel but breaks far easier than steel. Brushing Your Teeth: Statistics show that one out of four adults neglects brushing their teeth as recommended. The recommended duration for brushing your teeth is 45-70 seconds. Research shows that the average American adults only brushes their teeth an average of 38.5 seconds. The Number of Teeth: The number of teeth is not the same for all species. An average human adult has 32 teeth. Dogs have 42 teeth. Cats have 30. The Armadillo has 104 teeth. If you have thought that snails do not have teeth, you are mistaken, they do! Snails have over 25,000 teeth! This is the reason they are able to be such a menace to those who cultivate gardens. They can eat more than their body weight of your garden plants if given the opportunity. The First Dentist: With Egypt being an ancient source of civilization, we should not be surprised to learn that the first dentist was an Egyptian. His name was Hesi-Re. He lived over 5,000 years ago. The first official known female dentists lived in 1866. Her name was Lucy of Beaman Hobbs. Interesting enough, the first dental hygienist was a woman known as Irene Newman in 1905. President George Washington: It was a false myth that George Washington had wooden teeth. 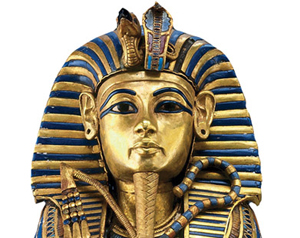 Contrary to popular lore, his dentures were made from ivory, gold, and other human teeth. This made him very uncomfortable. As you probably can guess, dentists were not popular back then. 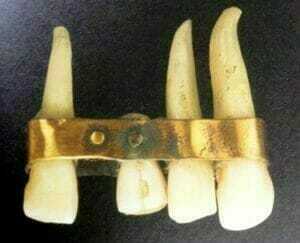 In George Washington’s time, it was common for people to loose teeth. Toothpaste: The modern version of toothpaste is just about 100 years old. In ancient Greece, coral powder was used as toothpaste. Others in ancient times used Alabaster, Talc, pumice and even iron rust as toothpaste. All in All: There are many interesting things to learn about dentists and teeth. The ones listed in this article caught our attention. At your next visit with Dr Bao, we would love to hear from you about the trivia that you know about dentists and teeth.